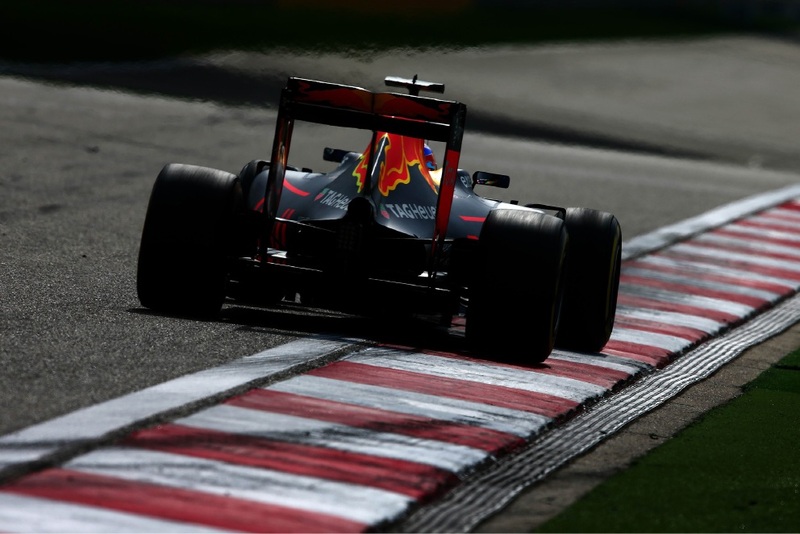 Daniel Ricciardo on the track in China. Nico Rosberg ended with another victory for Mercedes, well ahead of Sebastien Vettel in the Ferrari and Red Bull’s Daniil Kvyat. However, Ricciardo had a sterling drive, one he rated as among his best, and carved through the field from 17th to end up fourth. The debris that caused the puncture was from a first-lap incident when Kvyat made an aggressive dive in an attempt to get past Vettel, who swerved to avoid contact but collided with Ferrari teammate Kimi Raikkonen. Mercedes’ Lewis Hamilton also got involved and lost his front wing. H e ended up seventh, behind Felipe Massa in the Williams and Raikkonen. Ricciardo said he knew he’d hit something, but it seemed small and insignificant. “I could feel the rear start to slide and as soon as I got on the straight I could feel the car start to wobble. I looked in the mirror and the tyre went. I felt like I’d been hit in the stomach by a heavyweight boxer,” a disappointed Ricciardo said.